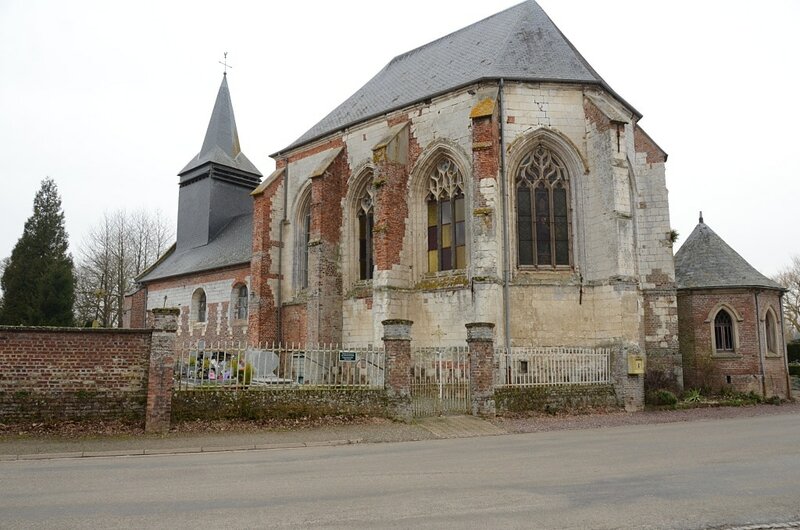 Ramburelles is a village and commune in the Department of the Somme, 20 kilometres south-south-west of Abbeville. 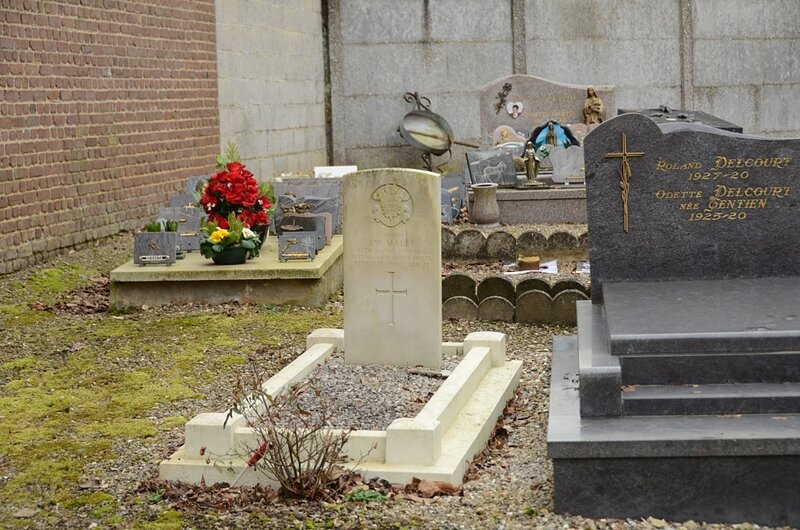 The single British WW2 grave is near the south-eastern corner of the churchyard. 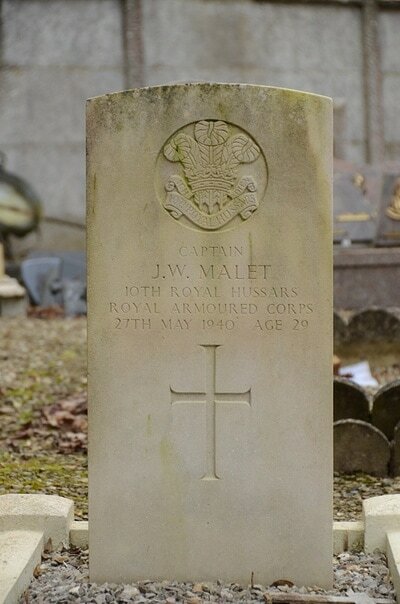 Captain John Wyndham Malet, 10th Royal Hussars, Royal Armoured Corps, died 27th May 1940, aged 29. Son of Major H. W. Malet, formerly of the 18th Hussars, and Bertha Malet; husband of June Malet of Nether Wallop, Hampshire.